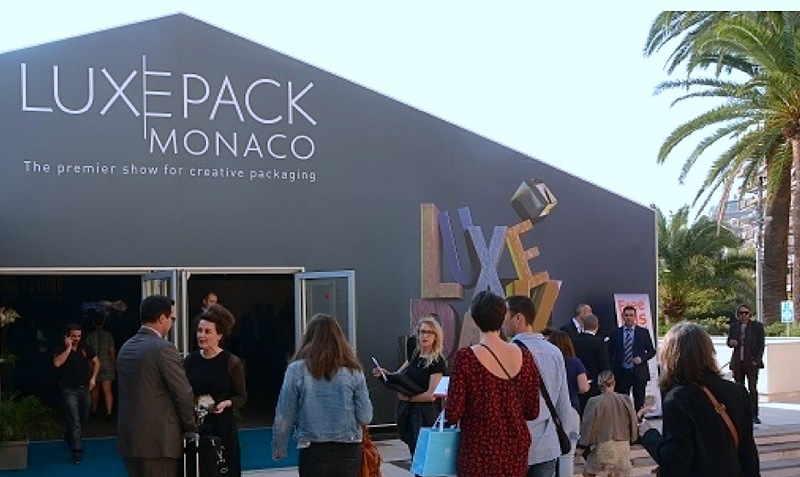 The 27th edition of Luxe Pack Monaco brought together the latest trends and innovations in the luxury packaging market. Running from 27-29 October at the Grimaldi Forum in Monte Carlo, Luxe Pack Monaco 2014 had a special emphasis on using the latest technologies (3D printing, inbuilt electronics and transparent metallics, to name a few) to enhance customer experience by seamlessly integrating packaging, brand history, marketing and product. Many innovations were unveiled exclusively at the show, which was packed with exhibitors: a total of 400, of which 52 were new. “Most business deals made here are complex,” said Grosdidier. “The show provides the environment for seeing new developments and making crucial first contacts.” This year’s event featured a new section, Luxe Formulation, which provided a formula-to-full-service platform for attendees. Associated conferences and roundtables addressed, for example, technical and regulatory topics, container-content interaction and best practices in manufacturing. Businesses at all stages – from formula through packaging to finished product – were therefore represented at the show. 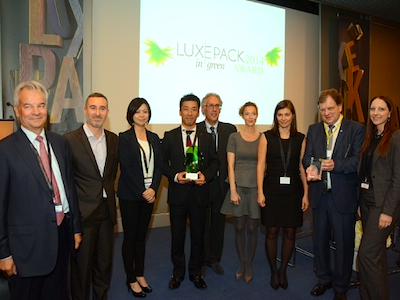 The Luxe Pack in green award nominees and winners, including Tammy Wu, Managing Director of Euro Cosmetic Asia (third from left); Tsutomu Kaitsuji, Sales Manager of Sanyo Chemical holding the 2014 Luxe Pack in green award; as well as Carletta Heinz (far right) and Carl-August Heinz, holding the Coup de Coeur award. As in 2013, the returning Luxe Pack in green section was popular with visitors looking for responsible packaging purchases. The top honour, the Luxe Pack in green prize, was awarded to the T-Eco cosmetics jar produced by Euro Cosmetic Asia, in association with Sanyo Chemical. The refillable jar was designed to allow for a 40% reduction in plastic. 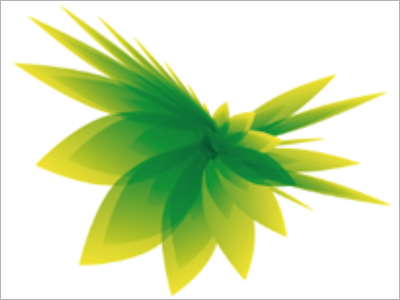 Other nominees for the in green award were Green Leaf from Albéa, Carta Crusca from Favini, the Go Green collection from LF Beauty and the Absolute Green Line from Sparflex. The jury favourite, or Coup de Coeur award, was given to the family-run Heinz-Glas company, for using heat generated from the furnaces one of its manufacturing plants to fuel Little Eden, a tropical greenhouse. At the annual Prix Formes de Luxe, Lumson for Sothys’ foundation range, Chloé’s luxury collection of perfumes and cosmetics, Group Pochet for La Panthère de Cartier and The Art of Love by Kilian K, and MBF Plastiques for Lancôme Grandiose mascara were among the 21 packaging category winners. Metallic Mirages Solev perfume bottles (above left) created by Pochet du Courval (glass manufacturer Pochet, plastics and metals company Qualipac and decoration specialist Solev) debuted at Luxe Pack, and epitomised the first of three trends highlighted by the show’s Trends Observer panel, comprised of several experts: silence (geometric, minimalist designs), haiku (poetry through packaging) and alive (joyous packaging celebrating life). 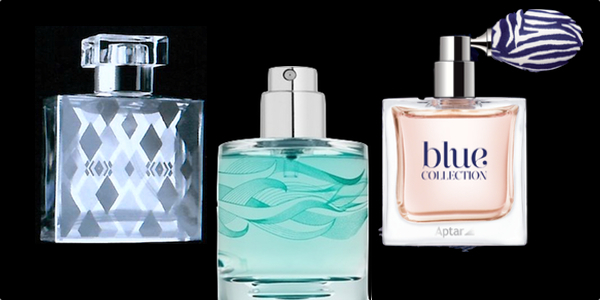 Pochet du Courval’s fluid glass bottle Eole (middle) evokes a haiku, and Aptar’s lively Blue Collection of bulb atomisers (right) includes floral, zebra and night sky patterns. The increasing popularity of all-natural cosmetics with no preservatives meant airless packaging was once again a major focus of Luxe Pack. Several companies updated or improved existing innovations. At last year’s show, Icelandic company Promens launched its award-winning Slidissime airless jar, and this year, the company showcased the Slidissime range fitted with sustainably-sourced 100% wood caps, creating an ecological luxury look. Lumson introduced P-Colors, a new version of its airless plastic packaging APP, featuring a coloured pouch inside a transparent bottle – effectively highlighting the airless technology and allowing customisation via a range of colour combinations. Aptar Beauty + Home also explored branding options, presenting Serumony Morphing, an evolution of its Serumony serum-dispensing airless stylus pen, which it described as “a philosophy, a state of mind dedicated to customisation, pure and simple”. Options for primary finishes include lacquering, anodising, galvanisation and metallisation, and for secondary decorative finishes, heat transfer, hot stamping and silk screening are available. Swiss packaging firm Neopac, incorporating Aptar’s airless pumps, brought out its new airless Tube de luxe, which uses a mirrored high gloss finish to complement Aptar’s Evolux and Evoclassic pumps. The pumps close automatically, protecting the contents of the tubes from air and bacteria. Neopac developed a special laminate for these tubes that allows customisation, such as screen printing and hot foil stamping, of both the tubes and pumps. MWV, meanwhile, presented its latest pump-on-tube airless solution, Amplify, which provides a premium feel and is “designed for the right value that still enhances consumer experience with the brand and product”, said MWV’s President Kevin Clark. With a 96% evacuation rate, the Amplify tube collapses as it is used, giving the customer a visual cue when all product has been used. The high evacuation rate and a constant stream of pressure means that customers get more value for their money, noted MWV’s Jennifer McMahon, as they can easily extract product, whether the tube is full or almost empty. Crafted out of DuPont’s resin Surlyn, Armida bracelets double as perfume dispensers. Packaging inspired by jewellery was everywhere at the show. 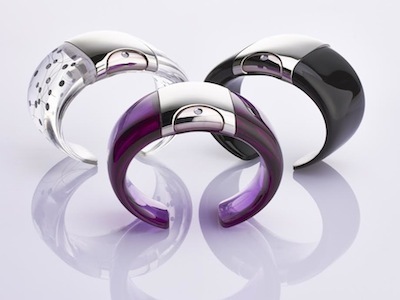 DuPont Cosmetic Solutions showcased its Surlyn 3D technology in a variety of jewel tones and products, including the Armida fragrance bracelet and Ajmal perfumes. The resin is lightweight, resilient, transparent and allows flexibility of design and decoration, making it a favourite with designers who prefer not to use glass. 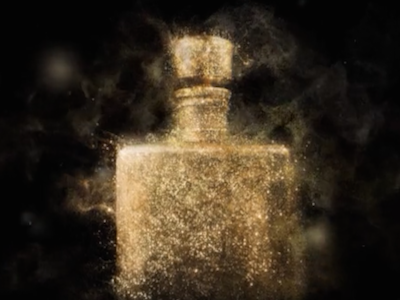 “We chose Surlyn for its brilliance, its crystal-like qualities,” said Tajuddin Choudhury, Head of Design and Development at Ajmal Perfumes. “The material looks great and can take almost any form… it is also fine to the touch – and this is so important in the fragrance market.” In addition, according to DuPont, Surlyn can be dyed to create a range of depths of colour and finishes, from almost transparent, to tinted, metallised or satin. The liaison between jewels and perfumes continued with Qualipac’s colourful precious stone-inspired caps for Bvlgari’s perfume collection, Le Gemme. The six black amphora-shaped bottles, created by Heinz, set off the jewel tones of the caps, each of which is associated with a different scent, for example, amethyst purple is linked to notes of lavender, iris, violet and heliotrope in the perfume. The theme of sustainable development in the packaging industry was highlighted throughout Luxe Pack 2014. In addition to the Luxe Pack in green area, which showcased green packaging, a roundtable on the topic entitled ‘Responsible purchasing: what are the specifics for the luxury sector and what benefits can be expected?’ was held, chaired by Guerlain’s Director of Sustainable Development, Sandrine Sommer. The conference addressed key topics such as ecological materials, processes, new and effective technologies, and certifications. In addition, many exhibitors at the event illustrated innovative green solutions. Finnish company Metsä Board showcased its sustainable lightweight packaging boards, including the new Carton Allura at the show. The company’s CEO, Mika Joukio, discussed the principles of sustainability underlying the construction of the boards, noting that the raw materials are renewable and derive from sustainably grown forest fibres. The boards are created in layers, which means that less wood is used and the board is lightweight, but that it remains firm. Iggesund Paperboard displayed its two sustainably-sourced paperboard brands, Invercote (solid bleached board) and Incada (folding box board). Vice President of Sales and Marketing Arvid Sundblad said the Swedish company “makes no investments without weighing in the sustainability aspects” and notes that there is currently high demand for environmental credentials in packaging, both from business partners and customers. Other products based on natural fibres were also launched at Luxe Pack 2014, including Italian paper company Favini’s New Crush papers, based on lavender and cherry ingredients, and carrying fall colours. As a specialist in creating textured speciality surfaces for luxury brands, Favini uses 30% recycled cellulose, algae, fruits and nuts as the basis of the eco-friendly range of Crush papers that includes Corn, Citrus, Kiwi, Olive, Almond, Hazelnut and Coffee. The new products are “designed to appeal to fashion and product designers, graphic artists and stylists who share our passion and flair for design and are looking to use the very latest textures and finishes to deliver new customer experiences,” said the company’s CEO, Andrea Nappa. There were no shortage of unique developments at Luxe Pack 2014 that provided a glimpse into the future of packaging. The creative paper company Arjowiggins, together with Dutch agency Strangelove presented the LoyaltyGrid solution, which enables a manufacturer to embed near-field communication (NFC) technology – a form of short-range wireless communication – into product packaging. The highly flexible NFC chip or tag acts as a digital marker, and can be used to guarantee authenticity, monitor product location, record purchase information or even communicate promotions and messages to customers’ smartphones. Cosfibel’s Stairsbox coffret includes rotating plates that transform the structure to reveal the perfume inside. Luxe Pack 2014’s launches show that while minimalism may be a trend, it is a very sophisticated type of minimalism, with multiple levels of interaction between materials, colours, designs and messages, all aimed at creating a precise customer experience of the packaging and product. For example, MWV’s Emotions of Spray collection of six fragrance spray pumps uses minimalist aesthetics, geometric shapes and a black and white colour palette, but each pump delivers a slightly different experience of a spray of perfume to the consumer – Melodie Pure creates a finer mist, while Melodie Delicate provides a small focused spray and Maestro Extravagant creates a stronger spray with higher volume. 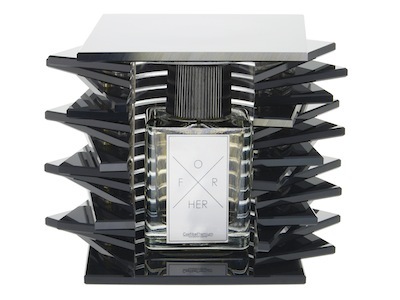 The colours, shapes, feel of materials, strength and area of spray all come together to create a specific “transformative state of mind – moving to the sublime through an emotional connection”, said Sandy Gregory, Fragrance Marketing Director at MWV Beauty & Personal Care. Every year, Cosfibel unveils a new coffret at Luxe Pack, and this year there were two. The company introduced a box that could be easily transformed from a coffret to a merchandising display by sliding the lid backwards, giving the product two different characters. And in another multifaceted production, Cosfibel showcased its unique Stairsbox coffret, which has an unexpected opening system consisting of several metallic stacked plates that rotate one by one to reveal the perfume bottle inside. This sliding coffret epitomised the main themes of Luxe Pack 2014 of silence, haiku and alive, and – at least for this visitor – succeeded in becoming poetry in packaging. With over 400 exhibitors, this year’s Luxe Pack Monaco saw a 15% increase in attendance compared to that in 2013, and a record 8,525 visitors.